— Tall Trees Resort is located about 15 minutes away from Manali – a perfect combination of peace and seclusion, while you will still have accessibility to the main town of Manali. — With a 24-hour advance notice, you can request a private barbecue at the resort. — Choose at least a two-day stay in order to enjoy the activities offered by the resort – fishing, trekking, mountain biking, rock climbing. Find your moment of zen. 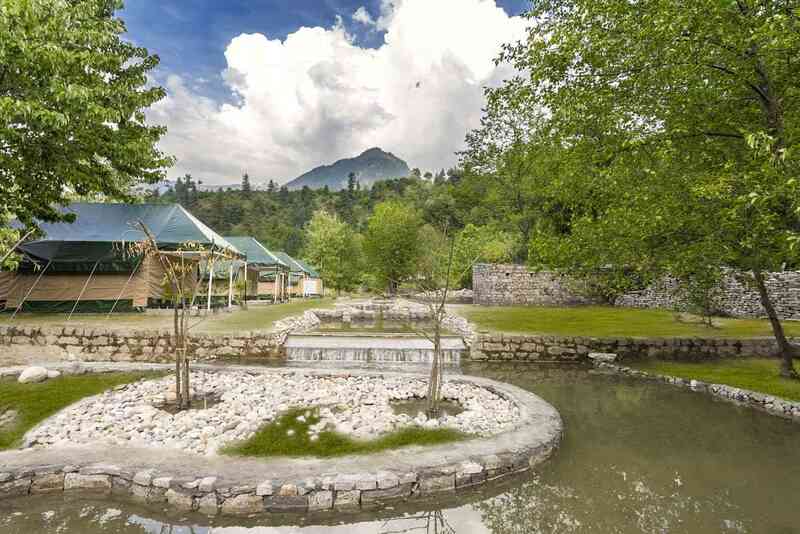 A reverberating river by your side, freshness of the mountain air and the verdure of forest is what Tall Trees Resort, in Manali, woos its guests with. All you need to do is be there to experience it. 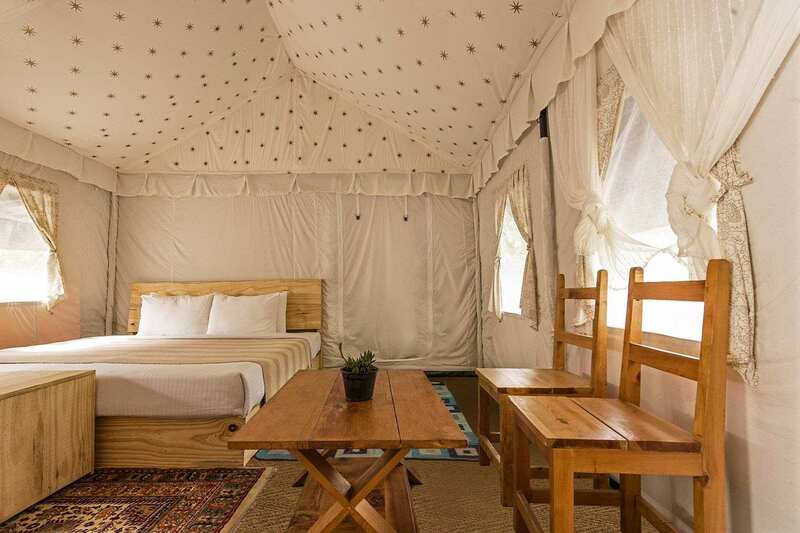 They promise to give you swish comforts mingled with nature’s love. The rooms have been given a cottage feel with wooden floors and ceilings. And, you have your own private patios and balconies to take in the leafy surroundings. Tea, coffee and snacks are available for you throughout the day. So, leisure is all you need to focus on at Tall Trees.Food is given careful attention at Tall Trees with only top-quality produce being served at the table. They make their own breads, croissants, buns, pizza dough and grow their own herbs. Also, if you fancy waking up early just to catch that first gleam of sunlight and witness its warm rays fall on the mountains, just let your hosts know about it and they would be happy to plan your sunrise breakfast – fresh juice, farm fresh eggs and bread along with coffee or tea. Tall Trees Resort has lots of outdoor activities for all kinds of travellers – fishing, trekking, mountain biking, motorbike sightseeing and picnics. Besides, you can always follow your heart and set out on your own nature trail. In the evenings when it gets chillier, you can sit around a bonfire to warm yourselves and slip into capricious conversations with your companions or fellow travellers. Mountains are calling and you must go! 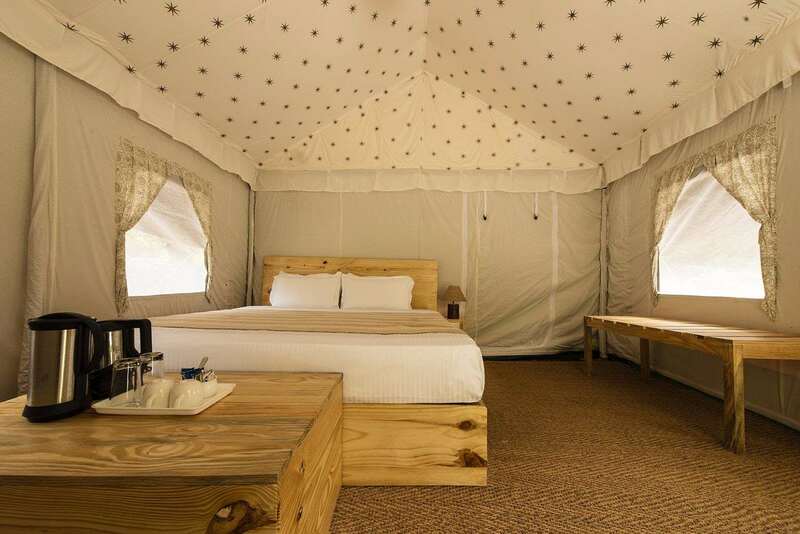 Luxury tents having attached bathroom, king sized beds and a private patio perfect for bonfire and star gazing. 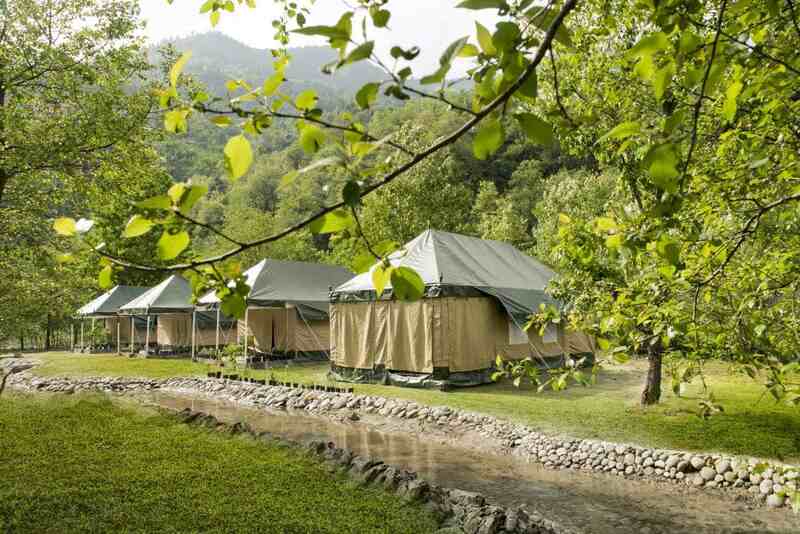 The campsite area is about 10 minutes foresty walk from the cabins and is right next to the river beas. Tents are also insulated and have heaters to keep the guests warm and cosy while enjoying the perfect snow camping experience. These rooms are located in the front of the hotel overlooking the forest and gardens and are extremely spacious. The rooms are designed to enhance privacy for the guests. Between 15 and 30 Days before check-in - 50% of the Package Cost as cancellation charge. Standard check-in time is 1400 hrs and check-out time is 1200 hrs. Extra bed for 12 years and above – INR 1500 on MAP AI per night. A valid photo ID must be presented upon check-in. Identification proof accepted is Passport, Driver’s License or Voters Registration Card. Situated in the mountains, this resort is within a 15-minute walk of Mount Carmel Church and Carmal Church. St. Thomas Marthoma and Carmelagiri Elephant Park are also within 3 mi (5 km).